When it time to consider baby wipes there are many different options on the market. It is important to make the right choice so that you. Many parents start off not intending to use disposable baby wipes at all, often plan on using a washcloth and warm water at changing time. Giving disposables wipes a try, soon experience the convenience that washcloths do not offer. Due to the frequency, sensitives and the fact that you do not wash the area of the baby after using wipes makes it important to choose non-toxic wipes. If you are going to use disposable baby wipes, you should probably avoid using scented and fragrance wipes, or perfume that has phthalates or endocrine disruptors. Many wipes may have parabens and contain phenoxyethanol, which is a succeed carcinogen. If you are using natural or organic wipes, phenoxyethanol may be used as a preservative. There are several ingredients that you may not see listed that should be included in the package. These chemicals may include contaminants and byproducts left over from the production process. Tocopheryl acetate is a synthetic vitamin E that is used in skin conditioners; it is made using a skin toxicant and carcinogen, called hydroquinone. 2-Bromo-3-Nitropropane-1,3- Diol release carcinogenic formaldehyde. Over the recent years, there have been several new brands of biodegradable diaper wipes introduced to the market, some are effective, with superior ingredients, which are eco-friendly (Your wipes should be composted or flushed) and the are safer from other brands of natural wipes. There are a few companies that make natural liquid solutions ( that have clothes) in place of using baby wipes. However, you could just use water and a washcloth if your are going to use a non-disposable option. If you want to go this way, then you can look into options offered by Natural Family Botanicals. 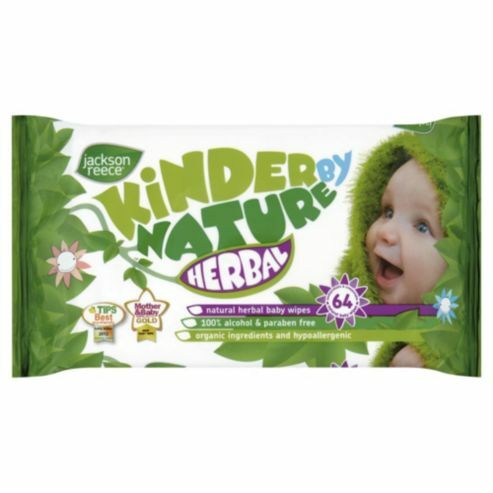 Jackson Reece is based in Herbal, Biodegradable Wipes are made from renewable wood pulp. This brand refreshingly does not have a long list of different, hard to pronounce ingredients; it is nice and short. These come in scented based on essential oils and unscented varieties. These tend to be pricier than other more popular brands; you will likely use less of them because they are big and thick. They ofter a good balance of wetness, not being to sudsy or dry. Yes, are are made from bamboo, which biodegradable Although they contain Polysorbate 20, their emulsifier score is only a 1 with Skin Deep. However, there is some Citric acid present in trace amounts, and there is no evidence of toxicity. This should not be a concern. You can buy these wipes in bulk from Amazon. They tend the be the priciest options. Water Wipes, called the words purest wipes because they contain only water and grapefruit seed extract. There is no contamination with carcinogenic cholo from or parabens. Independent testing has shown WaterWpes do not have any containment. Since there are no preservatives, Waterwipes made develop mode once you open the package. If you go through these quickly, this will not is a problem. You probably should not use wipe waters either as the heat can lead to bacteria. The other feedback that the fabric may be a little too rough or dry. Honest wipes are pretty good wipes with the only ingredient of concern being silver dihydrogen citrate. This is a preservative, According to Honest, the silver used does not include nanoparticles. However honest wipes are not cheap at about 7 cents per wipe. Over the wipes will perform well. Seventh Generations baby wipes contain hydroxymethylcnate. There is limited information on this ingredient safety. However it only gets a 2 out of 10 on Skin Deep, so it is considerate safe. These wipes also contain sodium benzoate; it is best to avoid to this ingredient. These wipes are also widely available, and you can get them for about a 5 cents a wipe when you buy in bulk.